Home / Articles / 2006 / Can technologists make it to the top? Can technologists make it to the top? Having a background in engineering or science means you are more likely to want an executive with the same, according to Chemical Processing's Mike Spear. Is the CEO of your company an engineer or a scientist? An accountant? A lawyer? Does it matter? The usual rules of corporate governance would suggest not. So long as the company is being run legally, honestly, diligently and, from the stockholders point of view, profitably, then the educational or professional background of the person at the helm shouldnt enter the equation. But human nature being what it is, many employees with an engineering or science background undoubtedly feel more comfortable having a technically trained CEO. 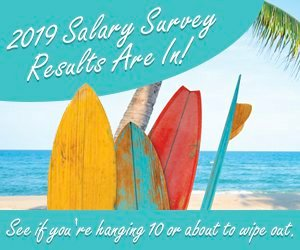 Earlier this year (see CP, Engineers should talk up the profession), and this month in the cover story, we cited a poll carried out by Bayer of 100 CEOs of emerging Science, Technology, Engineering and Math (STEM) companies. The majority of the CEOs expressed a concern about a potential shortfall in engineers and scientists graduating from universities, although only 58 of the 100 had a STEM degree themselves. Again, does this matter? Now in my experience, thats not an uncommon view. In my engineering days, every company I worked for seemed to be run by those bean counters. Likewise, few publishing companies have ex-editors or journalists at the very top. At least those are my perceptions and those of colleagues around me. Human nature again? But that certainly isnt the case with Kumpfs own company. Last month, Bayer named Patrick Thomas as the new chairman of its board of management. An engineer by profession with a background of senior positions with ICI and Huntsman, he takes over from Hagen Noerenberg, a chemist and a Bayer veteran of 30 years. In fact, to go back to that first question, if you work for one of the leading global chemical companies, then the chances are that your CEO, and many other senior executives, will indeed be an engineer or scientist. A quick look down the list shows chemist Jurgen Hambrecht chairing BASF, chemical engineers Andrew Liveris, J. Brian Ferguson and Dan F. Smith heading Dow, Eastman and Lyondell, respectively, another engineer Chad Holliday leading DuPont, and no doubt many more. Perhaps the chemical industry is the exception that proves the rule that scientists and engineers cant make it to the top. Somehow though, I doubt that.